I can’t think when I first got interested in the Philly Roast Pork Sandwiches. I’m pretty sure it was after I made Minnesota Bean Pot Cassoulet Recipe. I used a little of the pork from that recipe for this loosely based interpretation of the famous sandwich, so if you’re from Philly, just look away, now! Since I just put out a post the other day on Braised Pork Roast with Sausage & Cabbage, I thought that Shortcut Philly Roast Pork Sandwiches would be a nice companion recipe. Just in case there’s any roast pork left over from that meal. 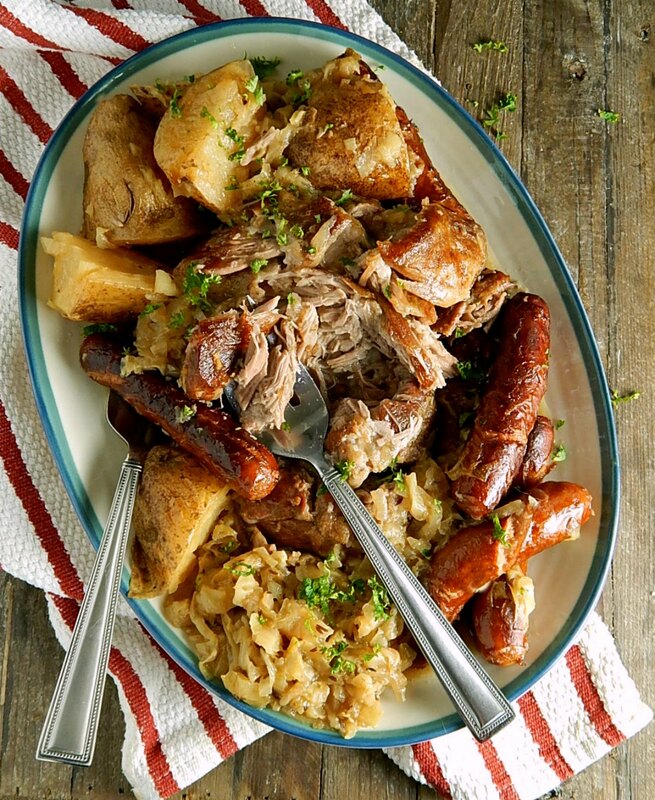 Usually, I think of long, slow cooking like Braised Pork Roast with Sausage & Cabbage in the fall, but a pot of this glorious dish couldn’t be better on a cold, drizzly spring day. 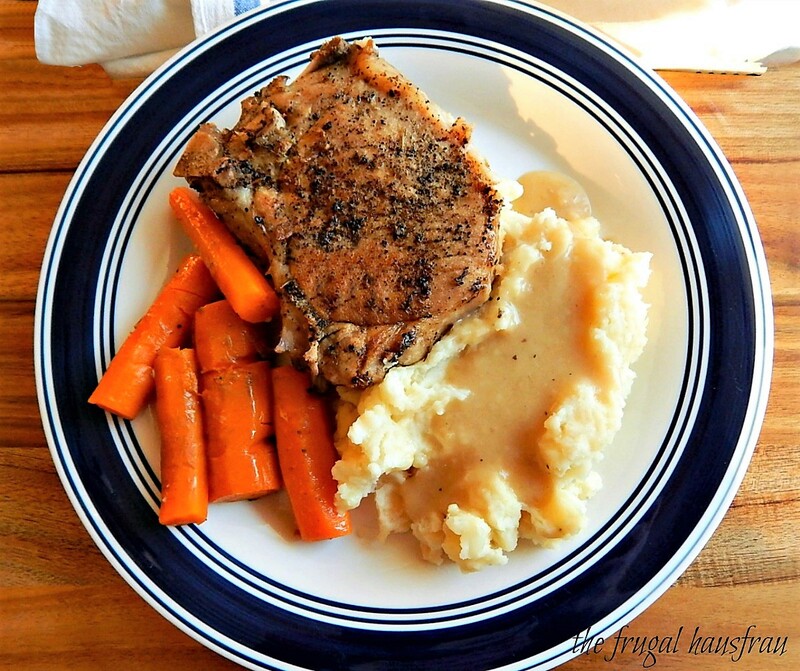 This is like Sunday dinner extraordinaire! 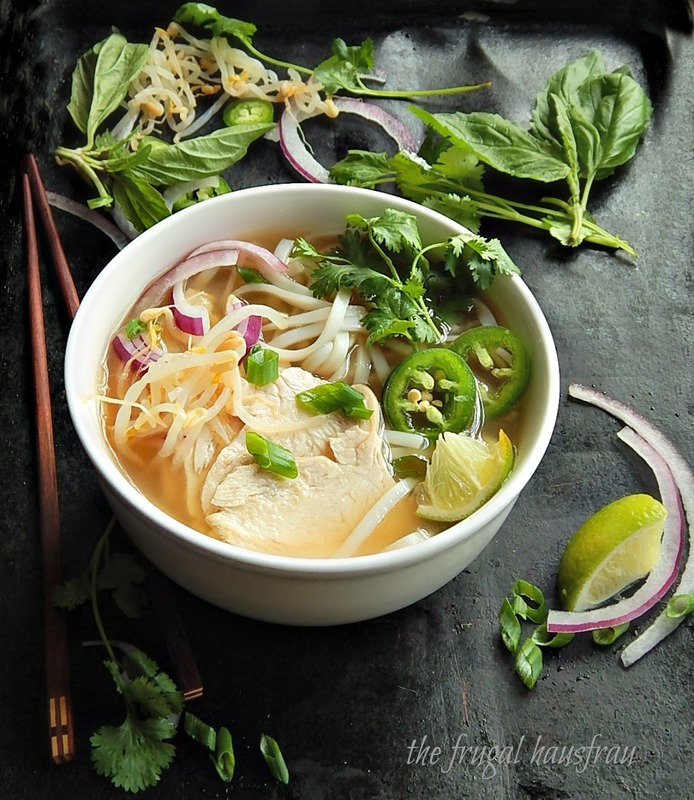 You might want to try to make this sometime this spring before it gets too warm for a hearty dinner. I don’t know about you, but eating at steakhouses isn’t my wheelhouse. So when I go to one, I read every inch of the menu and agonize over just the right choice of steak and sides to maximize my experience! (And then I hate it if someone else orders something that looks better than what I have, lol!) And while I enjoy the steak, what makes it for me is the au gratin potatoes. My daughter takes after me because she was out for a special dinner with her sweetie, and what Jess raved about the next day wasn’t the steak, it was Ruth’s Chris Potatoes au Gratin. 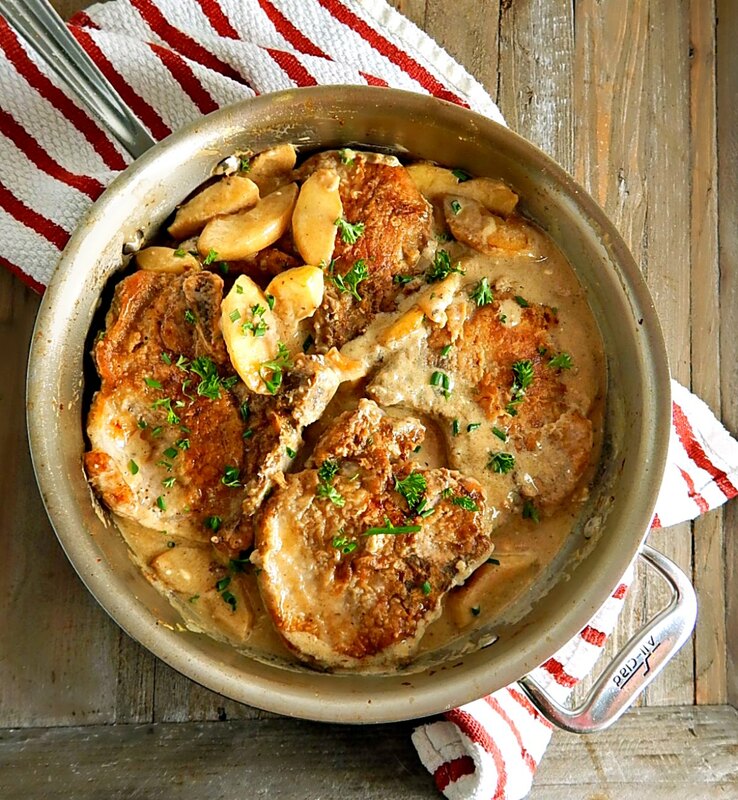 Ruth’s Chris Potatoes au Gratin Copycat make individual or one large casserole. It’s easy to always think about St. Paul & Minneapolis, the Twin Cities, as a Swedish/Norwegian city and we do have a large population. Maybe our weather made them feel at home. But it’s just as easy to forget that our earliest settlements were French and/or French Canadian. 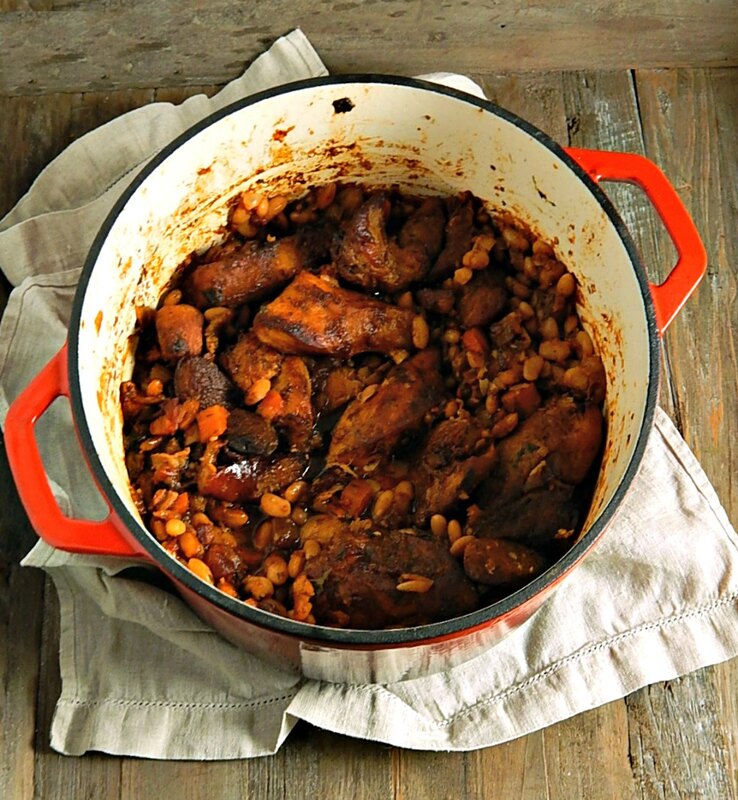 So in honor of our French, here’s a “Bean Pot” or if ya want to be fancier, I’ll just call this a Minnesota Cassoulet Bean Pot. 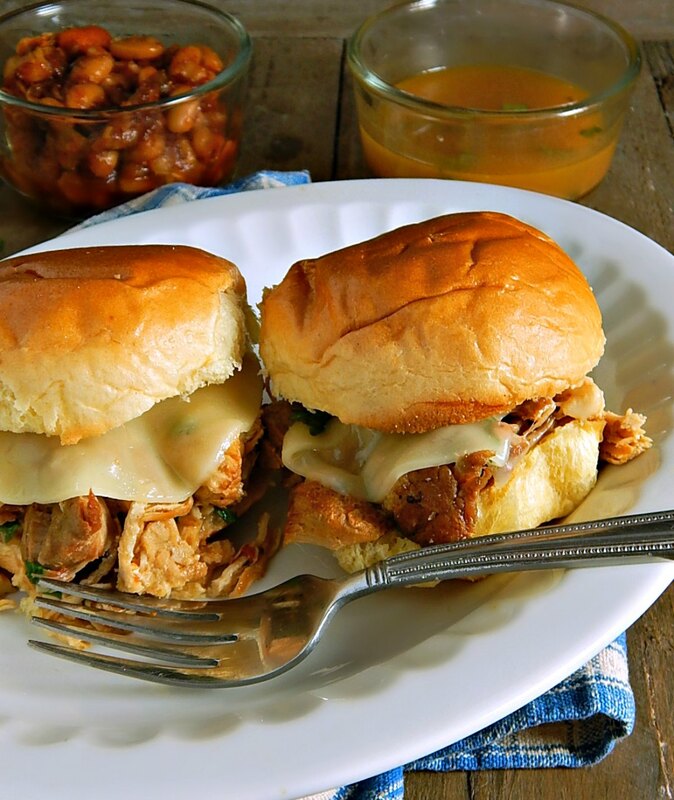 It wasn’t until I made my Chicken Cordon Bleu Sliders the other day that I remembered how much I really do love the flavors of Chicken Cordon Bleu. And one of the things I love about Chicken Cordon Bleu is the sauce that’s traditionally served with it. 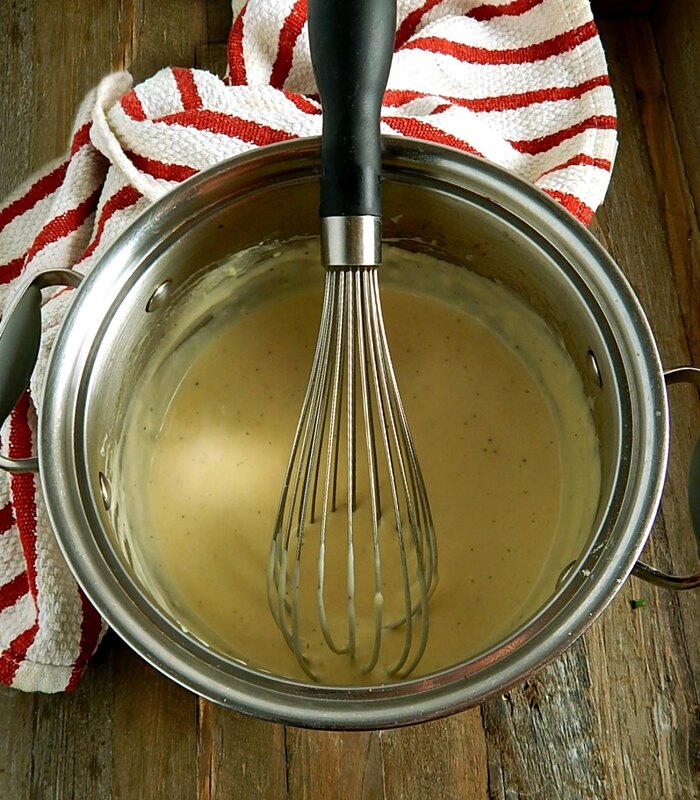 It’s known as a Supreme Sauce, and it’s rich chickeny creamy deliciousness. I promised I’d post a recipe for you to go with those sliders, so here’s the Easiest Supreme Sauce. 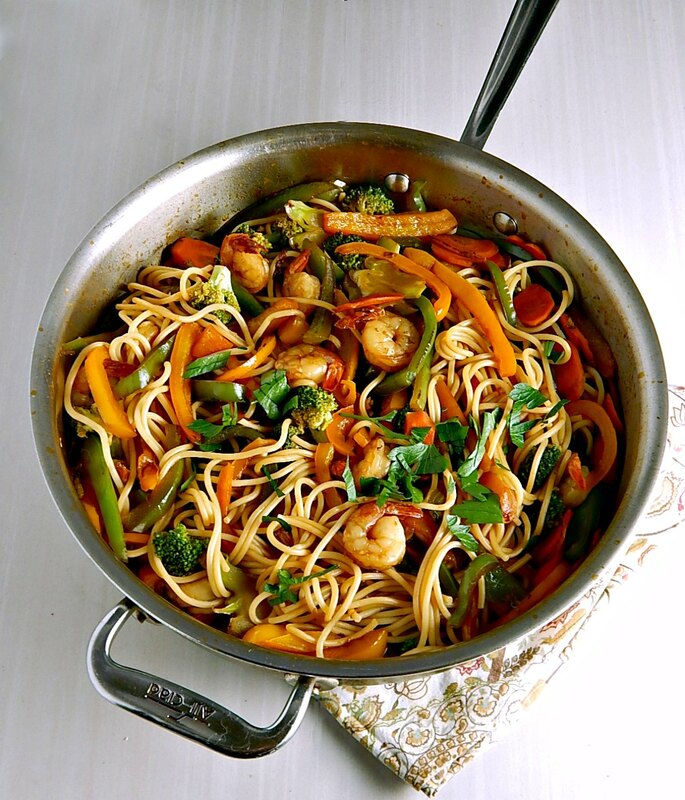 I made this Easy Fast Shrimp Lo Mein awhile back and am just now getting around to sharing it. And I already want it again! Are you a Lo Mein fan? This is the recipe that’s going to have you getting your Lo Mein at home any time the craving hits. While potatoes may be my goto side for so many dishes, there are just some meals that are better with rice. Like almost all Mexican meals! 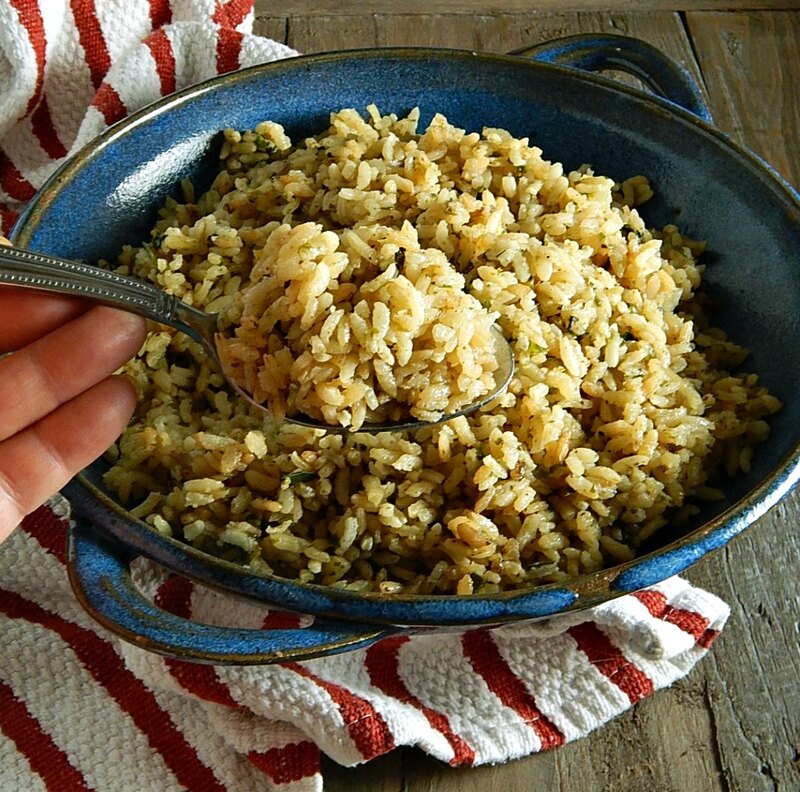 And while I love my Restaurant Style Mexican Rice and Cilantro Lime Rice (Instant Pot or not), I love Arroz Verde Mexican Green Rice even more. 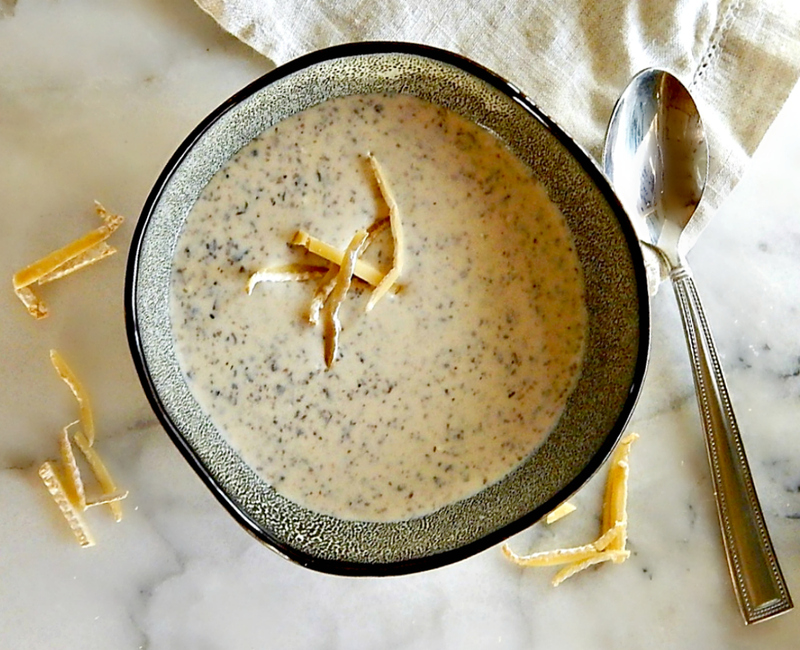 Sometimes, even if you are frugal, you need an indulgence and this Creamy Mushroom Brie Bisque is one of those. When I had this for dinner the other night I was literally transported to cozy little Bistro. 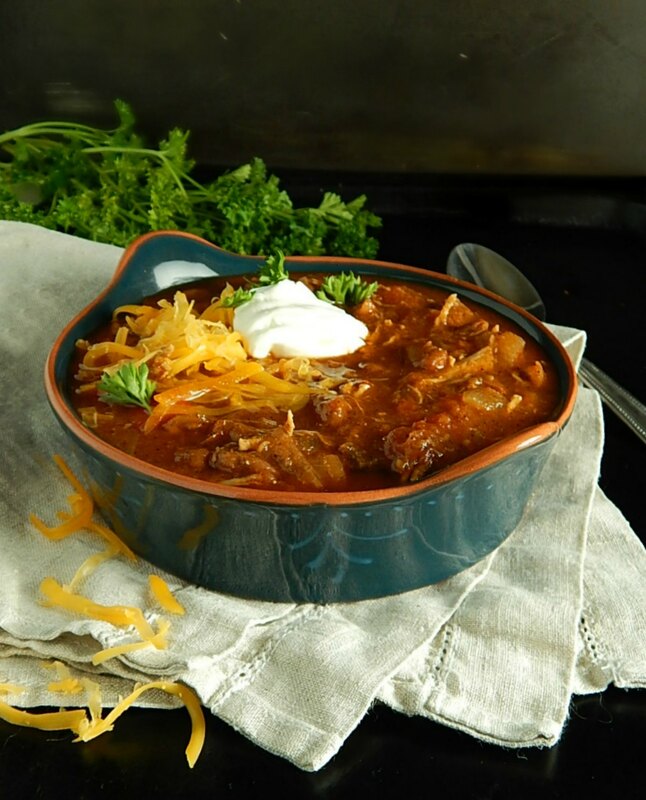 If you grew up in the Midwest or any area with German (or Eastern European) roots, you might have grown up with this hearty & healthy soup. 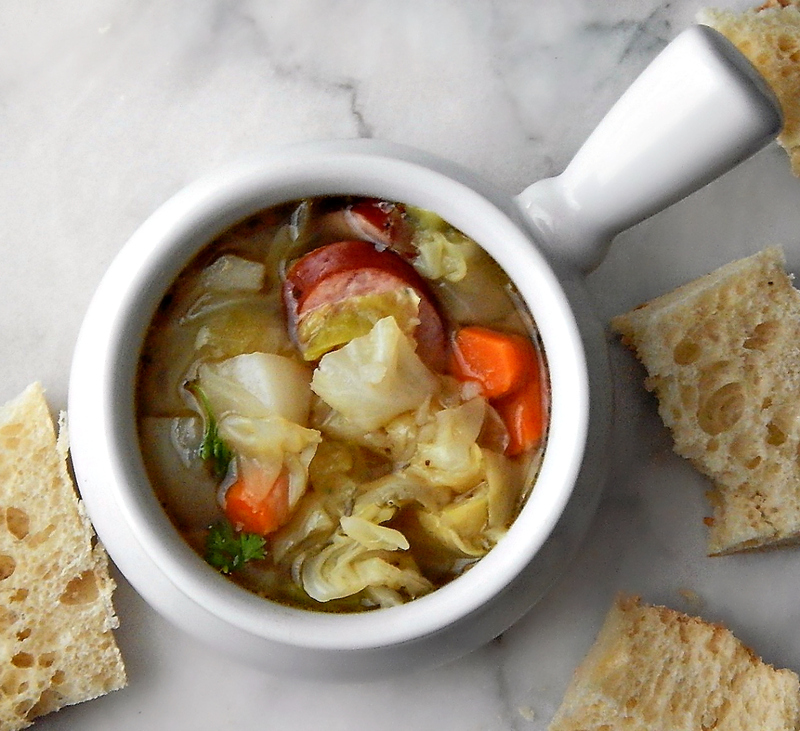 And you already know that Smoked Sausage and Cabbage Soup is absolute comfort food. 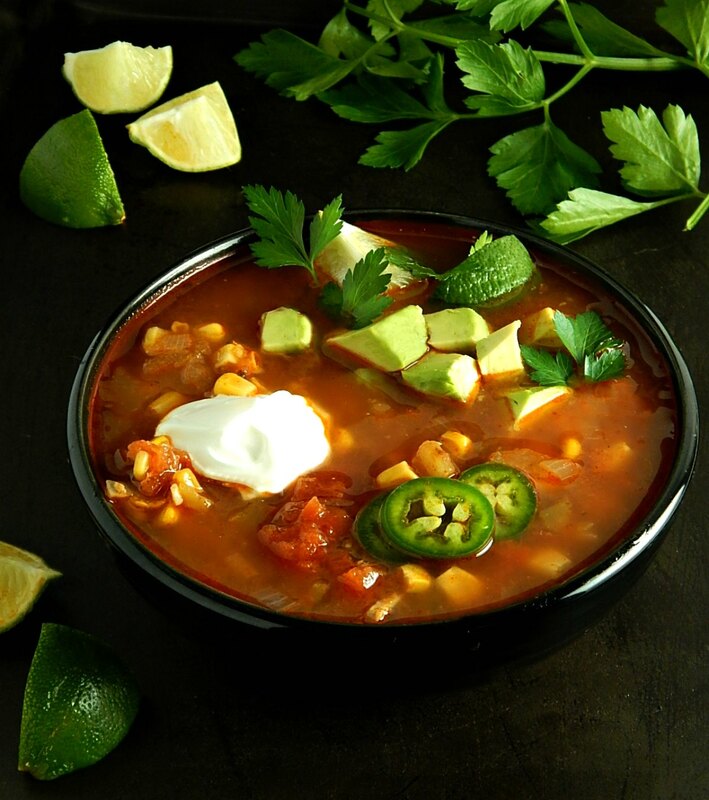 A bowl of this will warm you up from the inside out even on the coldest days. I love me a good Broccoli Cheese Soup. 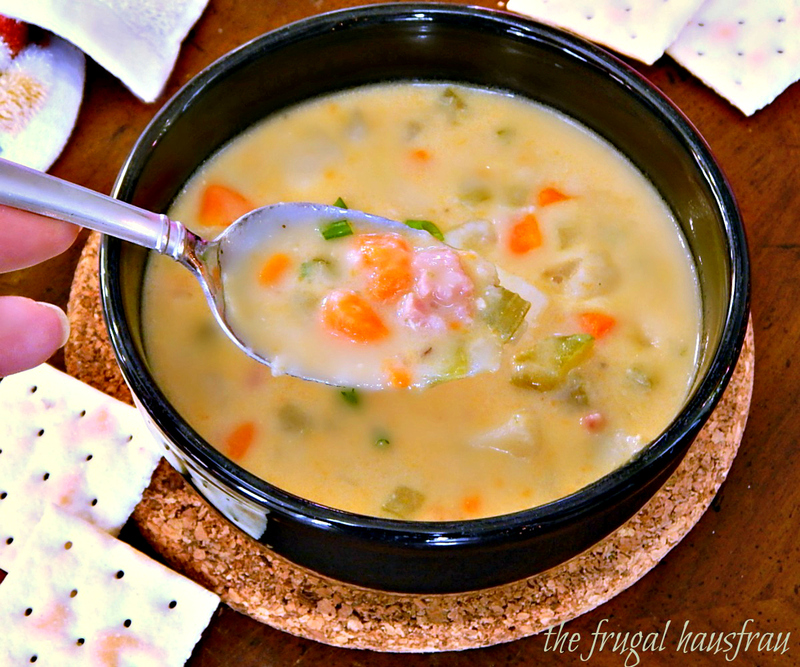 I love it even more when it’s start to finish, 15 minute Instant Pot Broccoli Cheese Soup, piping hot and on the table in no time at all. And I love it even better, when it’s made with real Cheddar for that flavor punch. 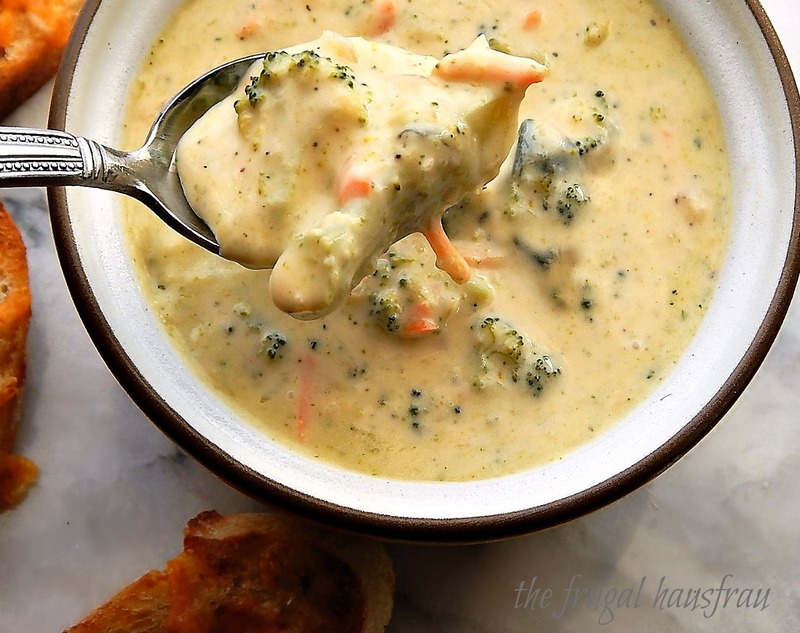 Creamy dreamy Broccoli Cheese soup – 15 minute Instant Pot recipe. Oh, but I do love me some soup. Especially in the fall. 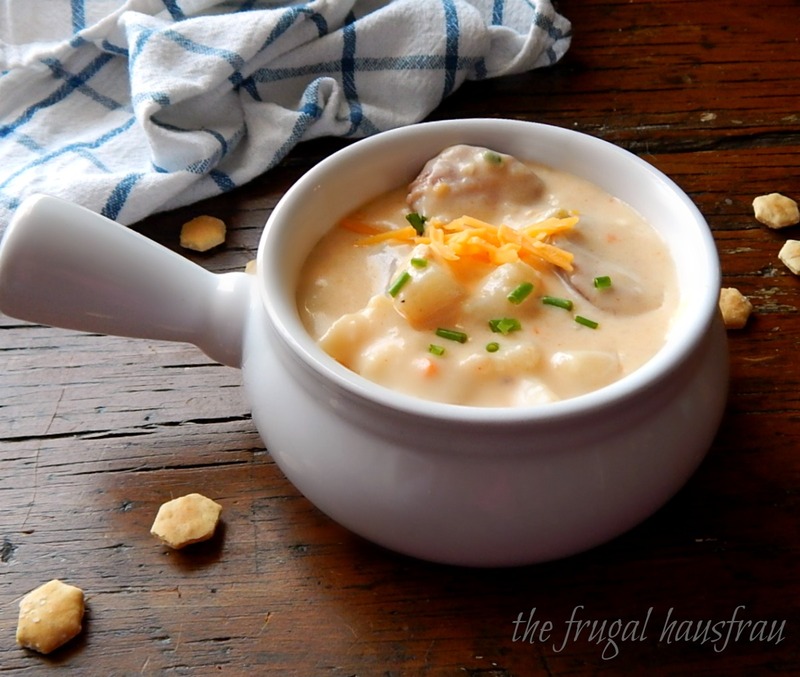 And since I had some sausage left after making Smoked Sausage and White Bean Soup in the Instant Pot the other day, I thought I’d make more soup, but take it in another direction. 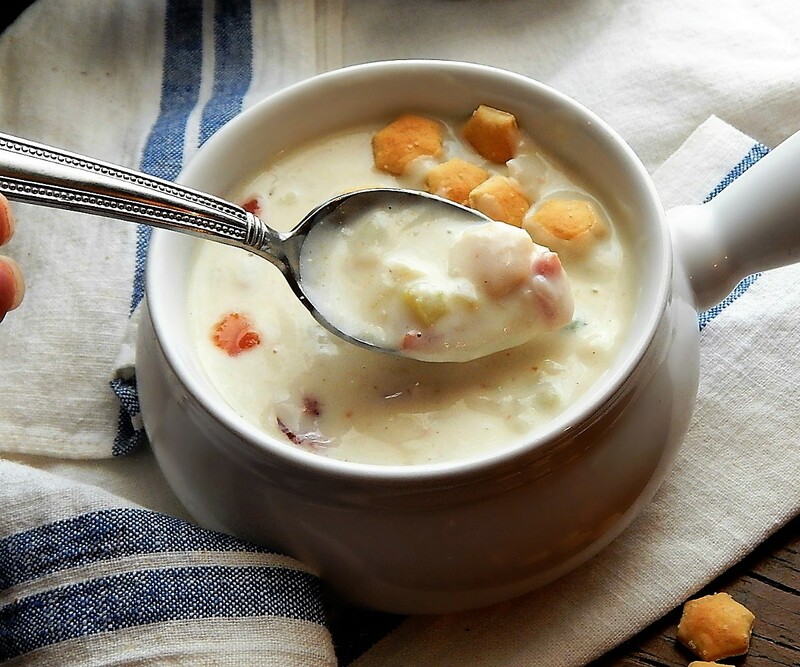 I could hardly think of a better use for that sausage than Cheesy Potato Sausage Soup – Instant Pot or Stove-top. It could very well be that I’m in denial! I am astonished each time it snows! I do live in Minnesota, and it IS November, but really? Snow twice last week and again the other day. 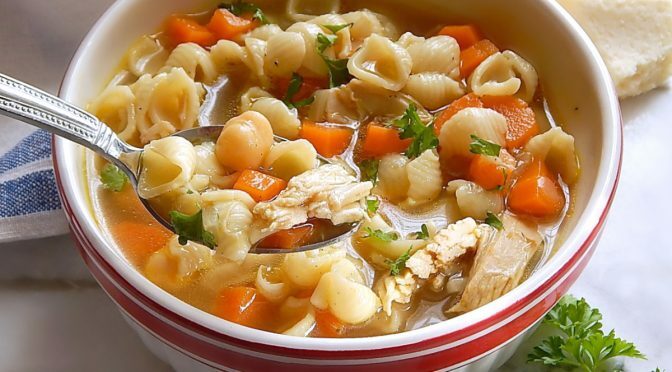 But snow to me = soup, so soup it is. Again. 🙂 And what a soup this is. 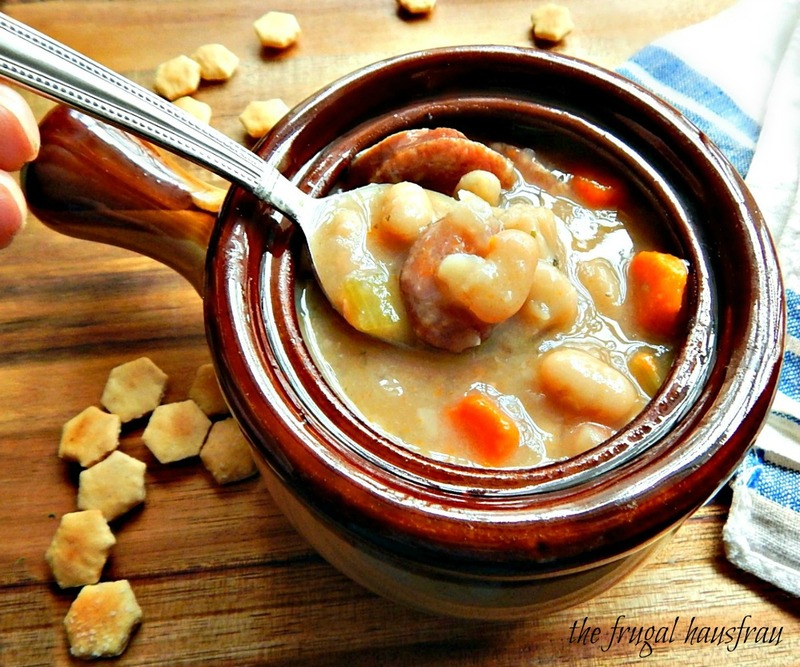 Smoked Sausage & White Bean Soup – Instant Pot or Stove-top. 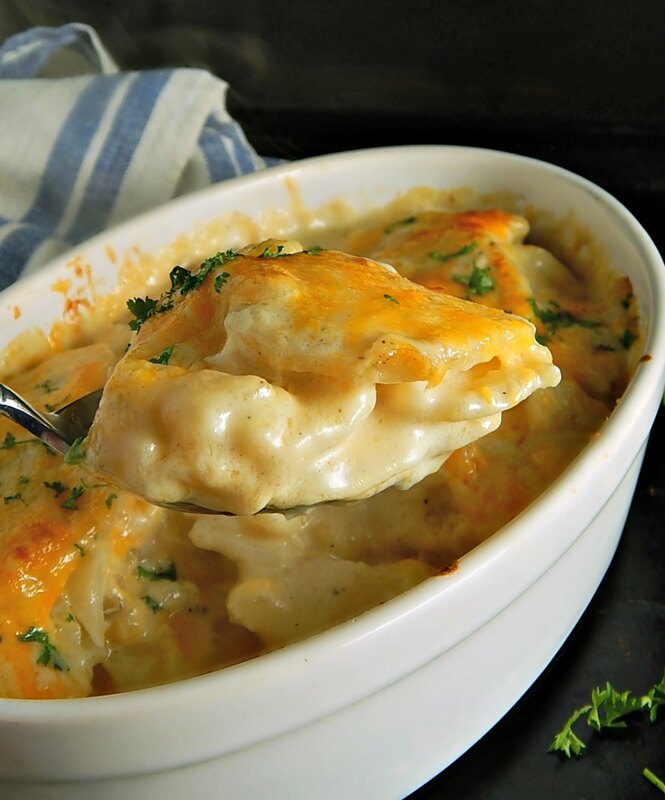 Fall comes, the leaves turn and at that first temperature drop, I seem to crave comfort food. I actually have a list of comfort food. Well, not a formal one, but one in my head, and Beef & Barley Soup ranks high on that list. 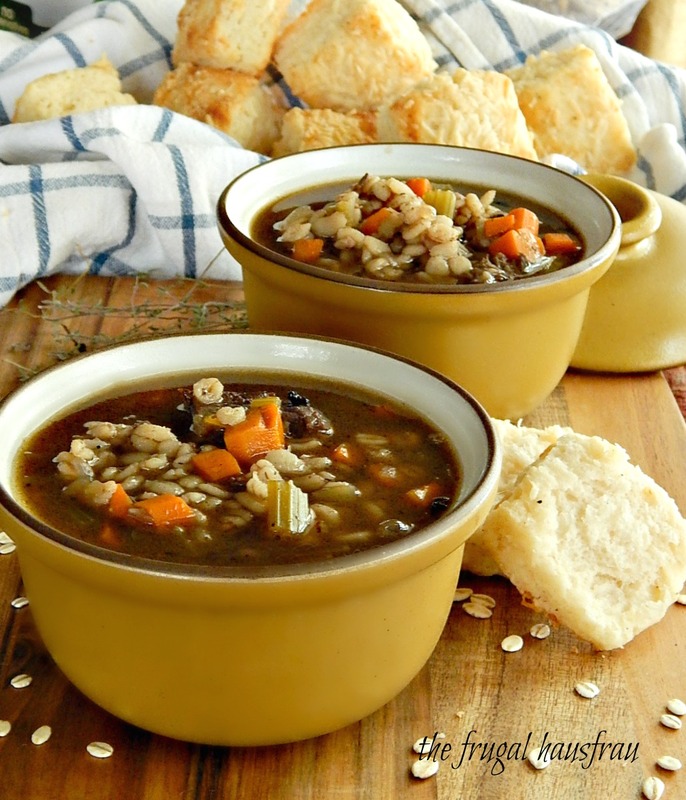 What ranks even higher on my list is this Instant Pot Beef & Barley Soup. I don’t know when the thought popped in my mind to remake my turkey leftovers into Pozole, but I’m glad it did. 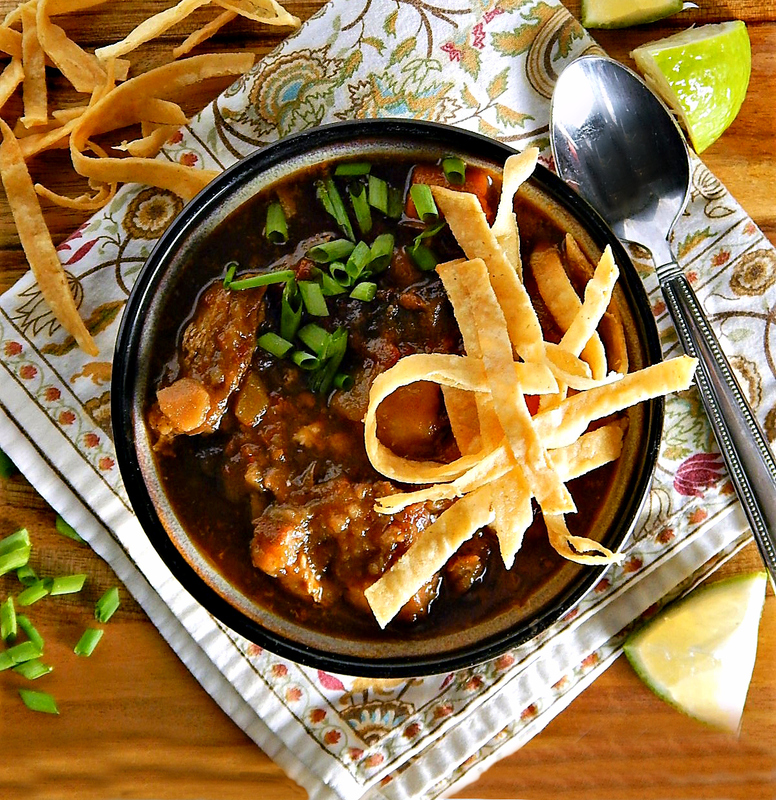 And not just any old Pozole but a Green (Verde) Pozole with Turkey. Pozole Verde de Pavo. Have you ever wished there could be a Turkey Stuffing permeated with the rich flavor and smokiness of bacon? One that’s fantastic in the bird & in a casserole? A seriously crave-worthy stuffing? My Sister’s Ridiculously Delish Thanksgiving Bacon Stuffing is the answer. Now, what was that question, again! You’ll be forgetting everything except for this stuffing once you start eating it! 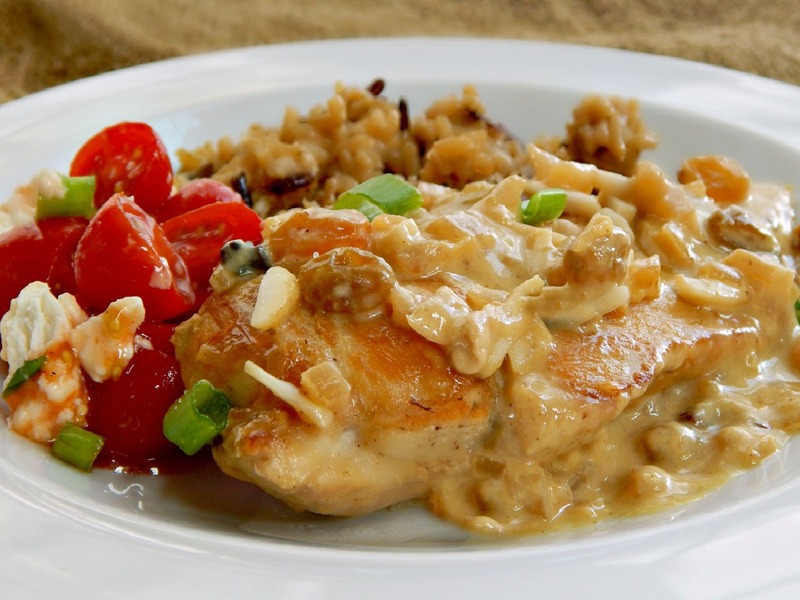 Here’s another one of my recipes that tastes and looks all “gourmet” but gets dinner on the table in no time at all – Soused Chicken. 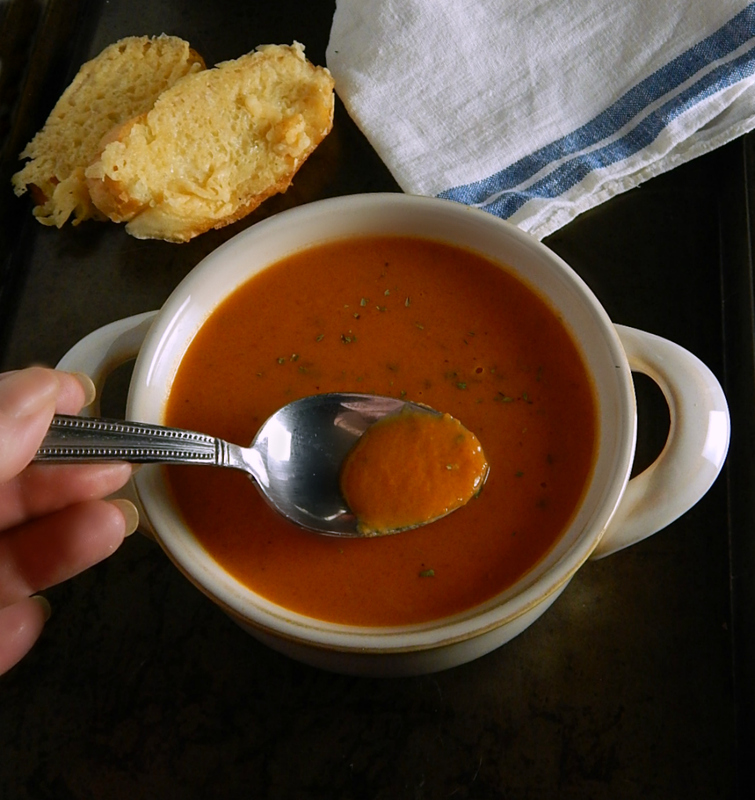 I’ve made this for years and the somewhat unusual flavoring gets rave reviews. Seriously, people think you’re going all fancy whenever wine and a little cream or half and half are in the picture. I love love love me some French Onion Soup! It’s just a beautiful thing and I fell in love with at my first bite, decades ago! For St. Patrick’s day, though, I wanted to change things up. 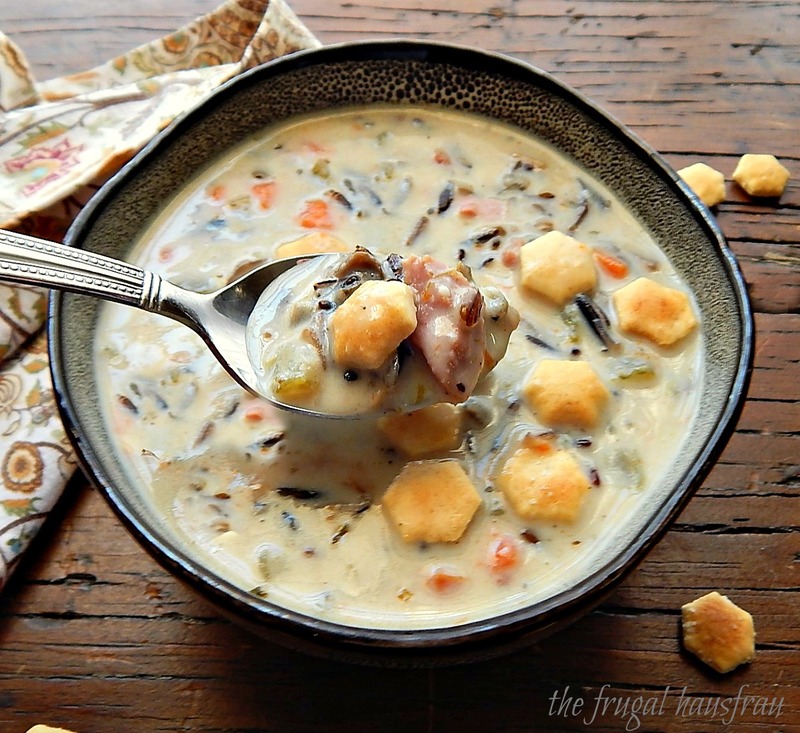 I’ve been dying to try out one of the Guinness & Onion Soups I’ve seen floating around. How could I resist, really? Deep, rich Guinness flavor, caramelized onions, and then there is that toasty, melty broiled Cheddar Cheese Crouton floating on top.